I keep meaning to blog, I really do! I have a bunch of freebie patterns I need to post up here, including a new Doctor Who pattern! Alas, Geek Knits edits, new book submissions, and LIFE are all getting in my way. So I'll just say two things. If you're a geek and love crafting, consider checking out Muse Con in IL. I was lucky enough to attend as the Guest of Honor and had an absolute blast. There's stuff to do! 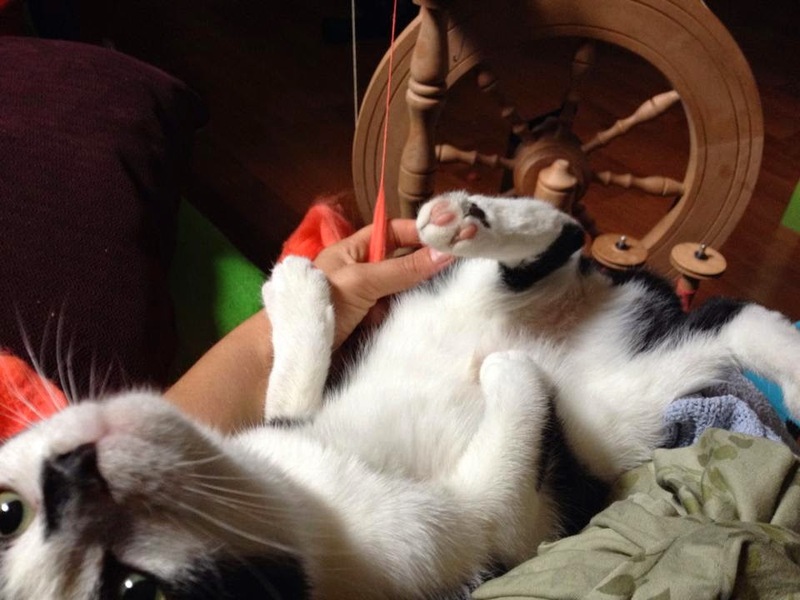 Craft classes, music classes, all kinds of things! It was an amazing amount of fun. Second thing: We have a kitten in the house. 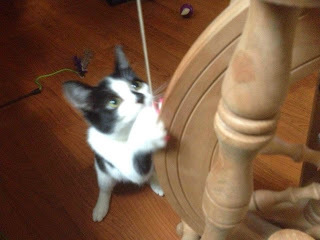 Have you ever tried to spin yarn with a kitten in the house? It doesn't work out so well. Alright, next post will be the new Doctor Who pattern! Back to the needles! For the up date and link. Glad you are doing okay.